Lesbian, gay, bisexual, transgender and questioning (LGBTQ) youths are more likely to end up in foster care or unstable housing and suffer negative outcomes, such as substance abuse or mental health issues, while living in the child welfare system, according to new research from The University of Texas at Austin. In a Feb. 11 paper in the journal Pediatrics, researchers looked at 593,241 youths living in California in grades 6-12. Less than 1 percent of the sample was living in foster care or unstable housing. But researchers found that more than 30 percent of the youths surveyed who were living in foster care identified as LGBTQ. More than 25 percent of those surveyed who were living in unstable housing, defined as living at a friend’s house, motel, shelter or other transitional housing, identified as LGBTQ. «People have been concerned for some time that LGBTQ youth are over-represented in the child welfare system, but there has been little evidence — until now,» said Stephen T. Russell, chair of the Department of Human Development and Family Sciences at The University of Texas at Austin. 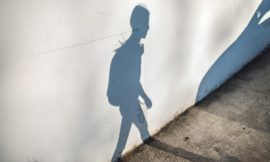 Researchers also found that LGBTQ youths living in foster care or unstable housing were more likely to be bullied, suffer from mental health problems, have lower grades, skip school because they felt unsafe and have higher levels of substance abuse. LGBTQ youths are probably ending up in the foster care system or unstable housing for several reasons, including rejection by their families or running away because they felt unsafe, Russell said, but more research is needed to understand why they are ending up in the foster system or unstable housing. In a companion paper earlier this month, which appeared in the journal Child Abuse and Neglect, Russell and colleagues looked at a nationally representative sample and found that lesbian, gay and bisexual youths were nearly 2.5 times as likely to end up in the foster system as their heterosexual peers. Gender identity was not examined in that study. Researchers pointed out that only 13 states protect youths in the child welfare system from discrimination on the basis of sexual orientation. Laura Baams of the University of Groningen and Bianca Wilson of the University of California also contributed to the research. The research was supported by the Eunice Kennedy Shriver National Institute for Child Health and Human Development, the Communities for Just Schools Fund and the Priscilla Pond Flawn Endowment at The University of Texas at Austin.